Where is your hope today? Who do you trust? What do you trust? Where is our hope? There are lots of things that we can trust in. We can trust in our own abilities. We can trust in our status. We can trust in our might. We can trust in ourselves. Or, we can trust in others. Our friends. Our surroundings. Our families. We can trust in out possessions. Our worth. Our stuff. We can trust in so many things. 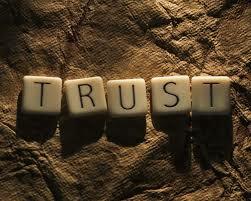 But in the end, there in only one thing we can place our trust in. Trust in him at all times, O people; pour out your heart before him; God is a refuge for us. Those of low estate are but a breath; those of high estate are a delusion; in the balances they go up; they are together lighter than a breath. Put no trust in extortion; set no vain hopes on robbery; if riches increase, set not your heart on them. This Psalm reminds us that God is our hope. He is the one that we place our trust in. Not the lowly. Not the mighty. Not the powers of this world. Not in extortion. Not in robbery. Not in wealth. Not in riches. None of these things should be our hope. None of these things should be what we trust in. For they are all fleeting. They are all frail. They will not last. God is eternal. God is trustworthy. God is our refuge. God is our strength. God is our hope. Today, do not place your trust in your own might or strength or stuff. Do not place your trust in the things of the world. Place your trust in God. And He will not fail or disappoint you.